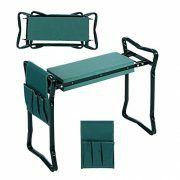 Great For Gardening: The side rails make getting up and down easy by providing support to your arms. The soft cushion reduces pressure and fatigue on your knees and lower back. 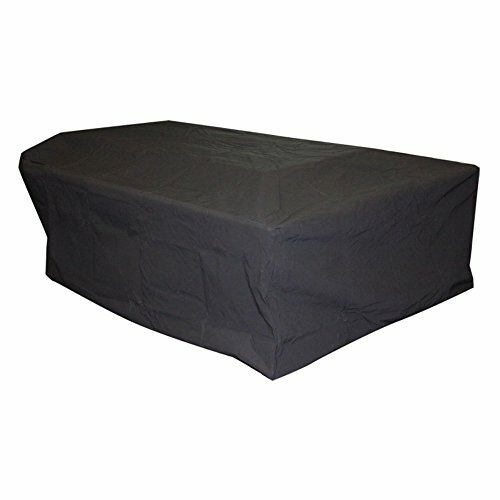 The low-to-the-ground design protects your clothes from dirt and grass stains. 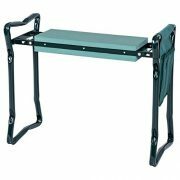 Versatile Design: You can use this garden kneeler seat as a bench to do chores or flip it over to use as a kneeler to do your gardening work. Please place it on a level, secure surface. 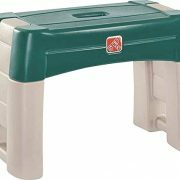 Convenient To Fold & Carry: Opening and closing this garden kneeler seat is very easy. 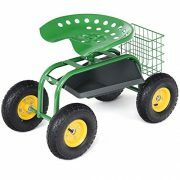 It doesn’t take up much room and can be carried around conveniently. 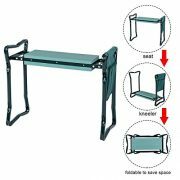 ✅ GARDENING MADE EASY – Side rails makes sitting, getting up, getting down and kneeling easy. 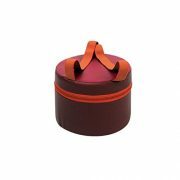 The soft cushion reduces pressure and fatigue on your knees and lower back. The low-to-the-ground design protects your clothes from dirt and grass stains. 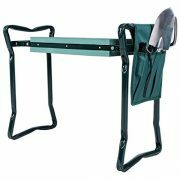 Its the perfect garden aid utility that prevents standing and bending. 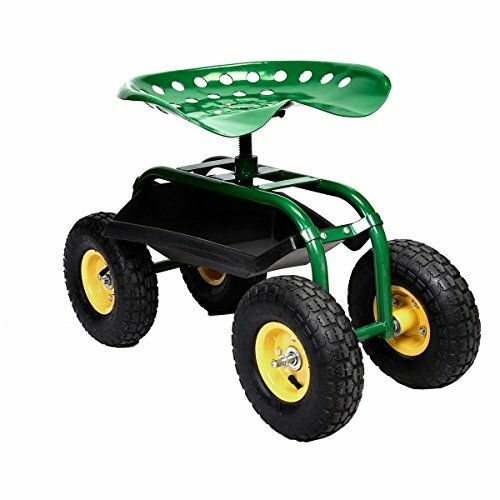 ✅ VERSATILE & FOLDABLE SEAT & BENCH – You can use this garden kneeler seat as a bench to do chores or flip it over to use as a kneeler to do your yard gardening work. 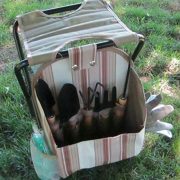 After your done it folds up for easy carrying and storage. 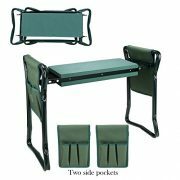 A perfect gift for anyone including the disabled, seniors and elderly. 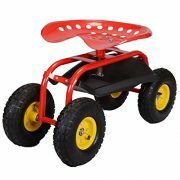 ✅ STURDY, LIGHTWEIGHT & HIGH QUALITY MATERIAL- 300 lb weight capacity makes it stronger, safer and more secure. 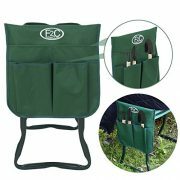 Made of high quality steel tube, long lasting comfortable EVA padded foam that takes any garden mishap. 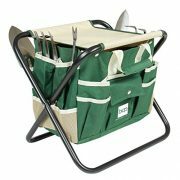 Comes assembled, and opens and closes in a quick snap so you can get down to your gardening as soon as the sun comes up. Contoured 360 degree swivel seat. 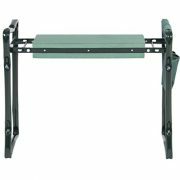 Durable Structure – High durability metal construction with up to 310-lb weight capacity, powder coated to prevent rusting and corrosion. 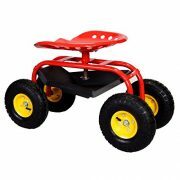 Heavy Duty Wheels – Equipped with 10” solid pneumatic wheels, surface pattern increases friction to avoid slip. 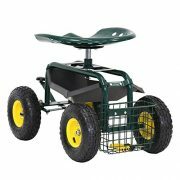 360 Degree Swivel Seat – Considerate 360 degree swivel seat for your flexible work requirement. 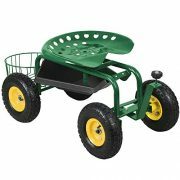 You can work for several plants without moving the cart. Big 10″pneumatic tires, 330 lb. 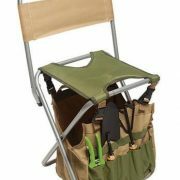 weight capacity, Tools and supplies are held in the handy shelf below the seat, keeps your supplies at the ready. 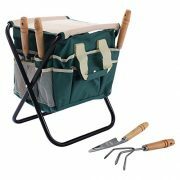 This 4-in-1 garden seat comes with a removable basket and kneeling pad, which will come in handy while you tend to your plants. 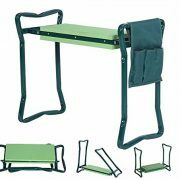 The 4-in-1 garden seat comes fully assembled. 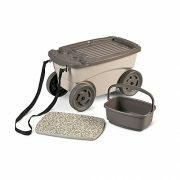 Includes a removable kneeling pad and basket (holds garden tools and supplies), built-in cup holders, and pull-strap for easy transport. 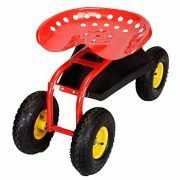 ☞ Ergonomic design makes it comfortable to sit in and easy to change direction. 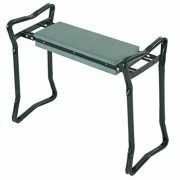 ☞ It reduces the fatigue of the knee joint with less force when using the product. 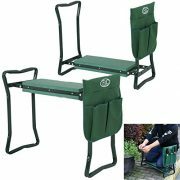 ♣ Kneel in cushion comfort or turn it over to sit at proper height for gardening chores. 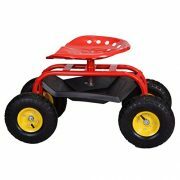 Molded-in handles allow easy transport and double as a support to let user resume standing position easily. 1-time snap-lock assembly. Sturdy double-wall construction.